For a state that boasts of high literacy and full of sensible, knowledgeable people, the incidents of the past few years, especially in the political arena, should put us all to shame, to say the least. Years ago, Swami Vivekananda is said to have called Kerala a 'lunatic asylum'. I wonder what he would have called the state now. From a state that believed in brotherhood and freedom of speech, we have turned into lunatics who are ready to kill each other mercilessly for nothing and everything. It is often said that the people of Kerala are politically more aware and educated. But, if the past incidents are any indication, it shows that we lack a lot, when it comes to politics. The need for power and control has so blinded us that we go to any extent to eliminate anyone who stands in our way. Who is to blame? Our politicians, who are no longer interested in the welfare of the society, but their own personal agendas? Our judicial system, which offers enough loop holes that even the repeated offenders are let free? Or the media, who is the rat race of TRPs resort to sensationalism and blow everything out of proportion? Or ourselves, who, in a mad rush to attain everything in life forgot to keep up the simple values that matter much in life??? I feel that we are growing more and more intolerant towards each others feelings and views. If someone differs with us, he/she should be our enemy. That is a highly terrifying thought... Equally terrifying is the silence from people who matters - the think tanks and other iconic figures. It shows that we are growing indifferent and insensitive to each others feelings. As a lay man, I feel that it is mainly lack of will from the part of the administrators and law enforcers that has resulted in such atrocities being repeated. If exemplary actions are taken against offenders, at least a few of the potential offenders would be discouraged from following the path of violence. In the mean time, as responsible citizen, we should all introspect and do our bit to ensure that at least the future generation are shown the right path. For that, may be it is a good idea to turn back to our values, principles and ethics. And the best way to teach the children is by example. My heart goes out to all the families who have been devastated by these violent activities undertaken in the name of politics or ideological differences. All I hope is that from the bitter experiences that they had to undergo, we would learn our lessons and would deter from resorting to violence as a solution for everything. PS: Normally, I don't speak or write about politics (for obvious reasons), even though I have a political view of my own . But the incidents that shook the soul of Kerala over the past few weeks (if not years) involving the murder of a political leader have forced me to write this. Our generation born and brought up in a moderately secure Kerala. But not any more. Our children will see more violence, more cruelty and more blood. As if some demonic spirit has invaded us. Who will bring a radical and positive change? Or is there no hope left? Thank You Ajith for your opinion! Though it is a rather delicate situation, I think we should not be disheartened and lose all hope. Sometimes, a small step in the right direction is all that is necessary for initiating a positive step. If we all decide not to be drawn into the web of violence and cruelty, a lot can be achieved. And more importantly, we need to impart values and ethics in our children and give them courage to go on the right path, even if it not always easy. Let us hope that a better future is in store and work towards it! @ Malini Rajesh, Thank you for your comments! Yes, each day we encounter more disturbing facts... It seems more and more skeletons are tumbling out everyday... All I hope is that we ourselves would realize the futility of all these violent methods and discard them. I hope that such a day will dawn!!! ‘Relative comparison’ is the justification, or defense approach of the time. Both the ruling and oppositions repeatedly. If you drop these two cases, we shall drop the other two allegations against you, type of arrangement. Some sort of barter system. Ultimately people forget the allegation or crime and gradually the news goes to the inner pages and vanishes in thin air. The funny thing is that these commission of enquiries constituted do not have the authority or mandate to initiate any penal measures. They submit their report And recommendations to the government. When the accused group comes to power before or after the final report, they declare another enquiry for the same, Quoting some technical errata, changing the members and terms of reference of the issue. Dear Mr.Raghu Menon, First of all, Hearty Welcome to Random Thoughts. It is good to have you here. Wishing You Al The Best!!! Thank You Joy Palakkal!!! Good to have you here. 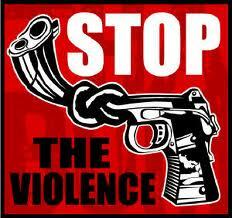 Senseless violence should be shunned!